While Vitamin K is a well-known nutrient, its cousin K2 is less commonly incorporated into Western diets. This vitamin works wonders on your teeth, so eat your way to better oral health by incorporating Vitamin K2 into your diet. Vitamin K2 remineralizes your pearly whites, keeping them clean and clear of cavities and tooth decay. Eating K2 foods ensures your body gets enough of the vitamin and your teeth stay healthy and strong! You’ve heard of vitamin A, B, C and E, but how about K2? This nutrient hasn’t received the type of attention other vitamins have. It’s typically overlooked when people try to develop a vitamin-rich diet. K2 is one of the most important nutrients for a healthy body, so it’s important to receive a healthy dose of it. Vitamin K (which stands for Koagulationsvitamin) is an essential nutrient for blood clotting and plays an important role in heart and bone health. K1 is found commonly in plants while K2 is found in animal and fermented food products. K2 is a fat-soluble vitamin. It activates proteins that distribute calcium throughout the body, promoting strong and healthy bones. Your teeth require substantial amounts of osteocalcin in order to grow dentin. Dentin sits underneath your teeth’s enamel and acts as a protective barrier to keep your pearly whites free from harm. 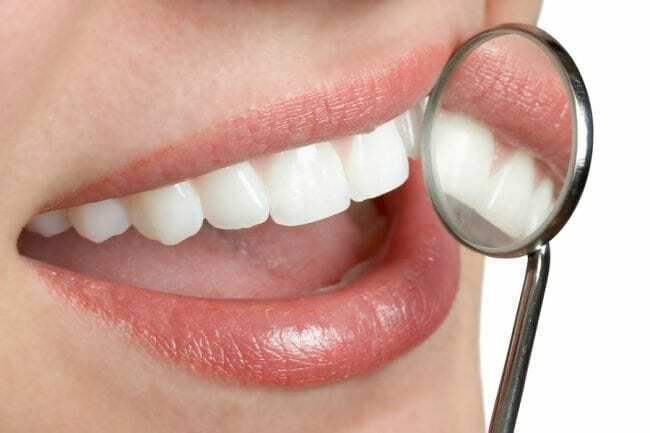 Vitamin K2 stimulates the growth of osteocalcin, leading to stronger teeth. How Can You Get More Vitamin K2? It’s not hard to eat enough K1 (green leafy veggies, meat, and eggs are all rich in K1), but incorporating enough Vitamin K2 into your diet can be a bit trickier because it’s less common. If you’re vegan, you can consume Vitamin K2 through natto, a fermented soy product, sauerkraut, and yogurt. Vitamin K2 supplements are also available. Check out this delicious K2 Smoothie Recipe to start boosting your body with Vitamin K2! Speak and visit with the experts at Cirocco Dental Center to learn more about all the ways you can keep your teeth in tip-top shape! Can You Brush Your Teeth Too Much? Dental Health Tips For Your Pets! Copyright © 2019 Cirocco Dental Center. Site designed by Strunk Media.